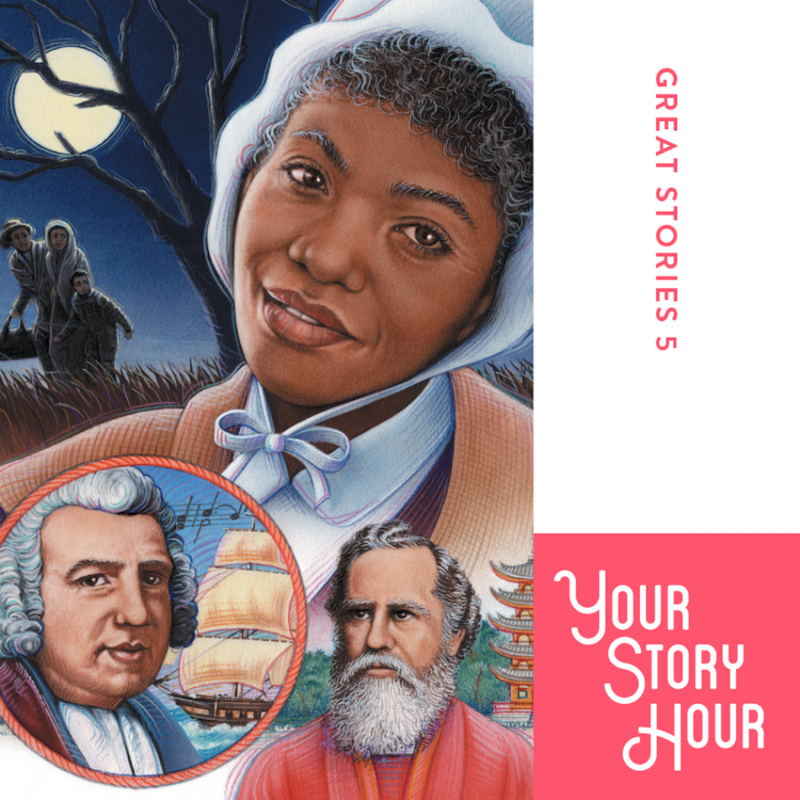 Great Stories Series: Volume 5 by Your Story Hour Audiobook Download - Christian audiobooks. Try us free. Your Story Hour is proud to present another great collection of 12 exciting, dramatized Historical stories. You will be inspired by the stories of Sojourner Truth, a slave who championed her people; Hudson Taylor, a missionary to China; John Newton, a slave-trader who became author of "Amazing Grace," and Eleanor Roosevelt, a famous First Lady. Great listening for "kids of all ages"!